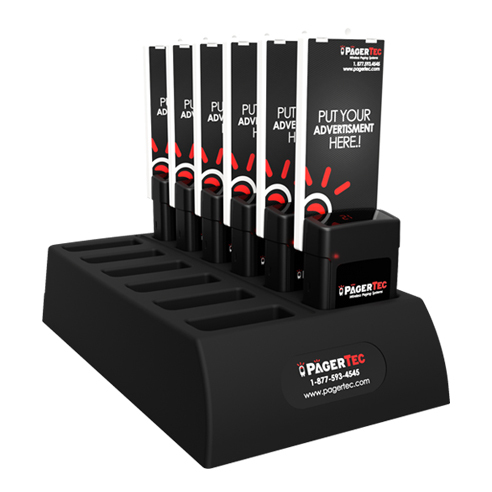 WHY PADDLE PLUS ALERT PAGING? 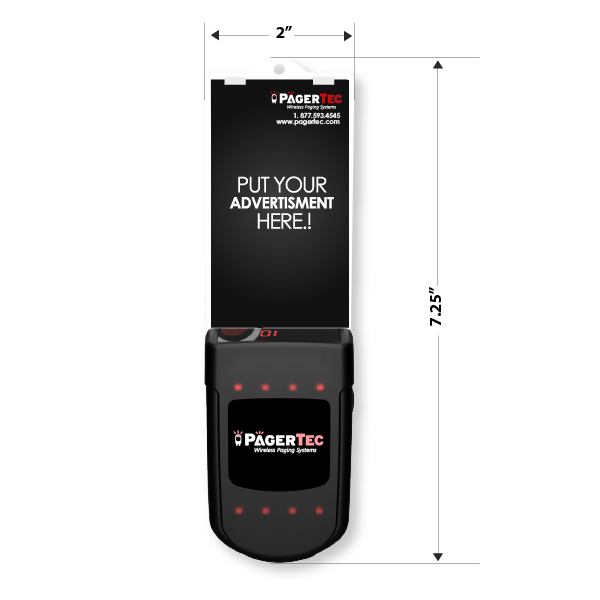 Place your advertisement in the center of the pager. 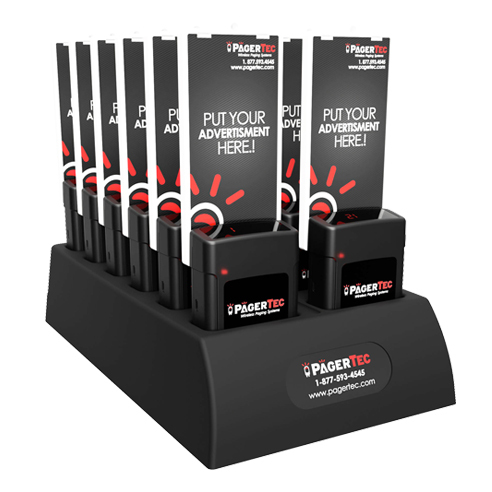 Easily change your promotions and advertise to your customers on the pager. Simple to replace AAA rechargeable battery. 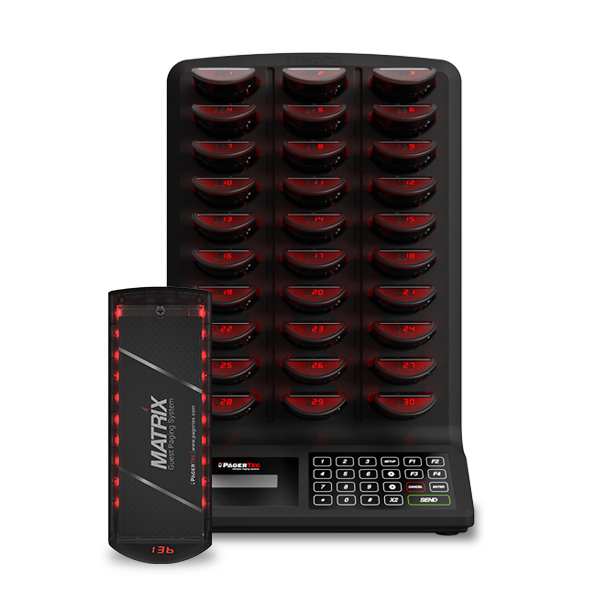 Handles up to 999 pagers. Never worry of out growing the system. 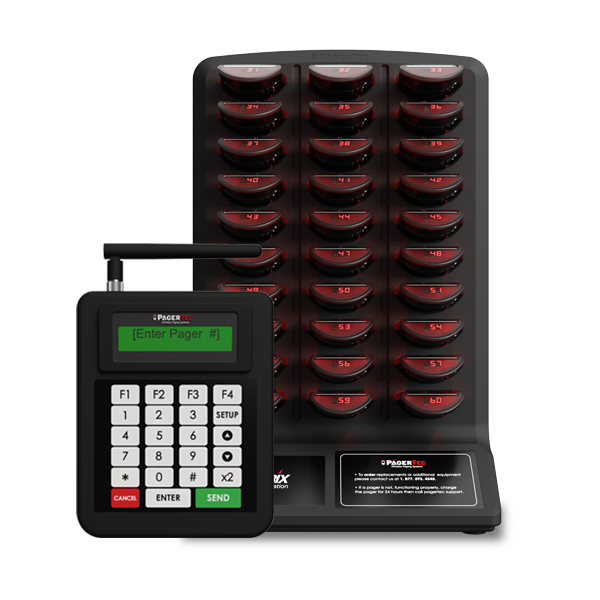 The Paddle plus system is the premier paging system cataloged as one of the most durable system in their class. 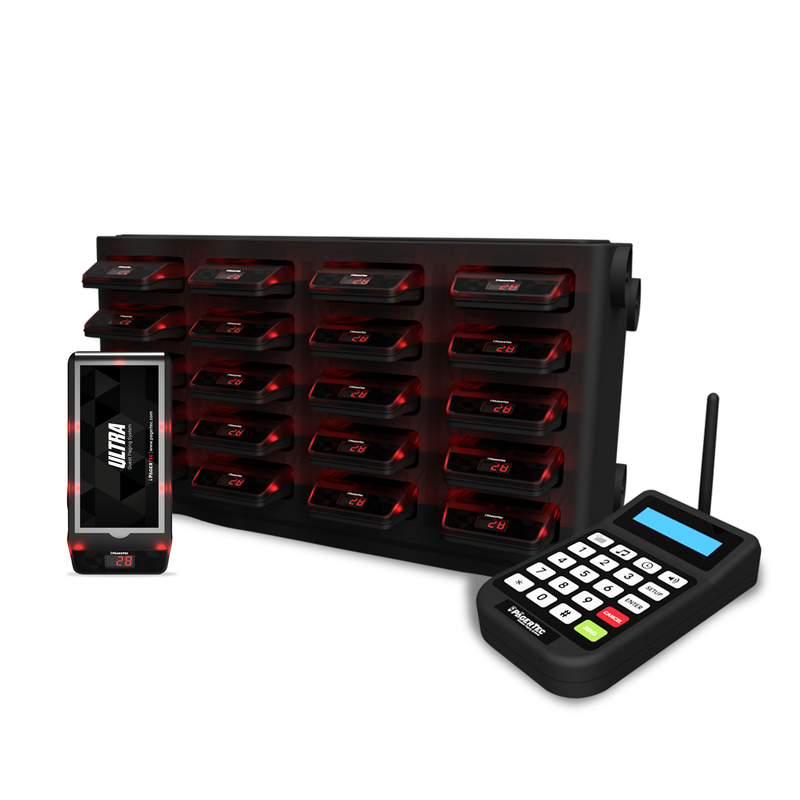 The paddle plus system is our latest version of the product that has made paging into a whole new way. 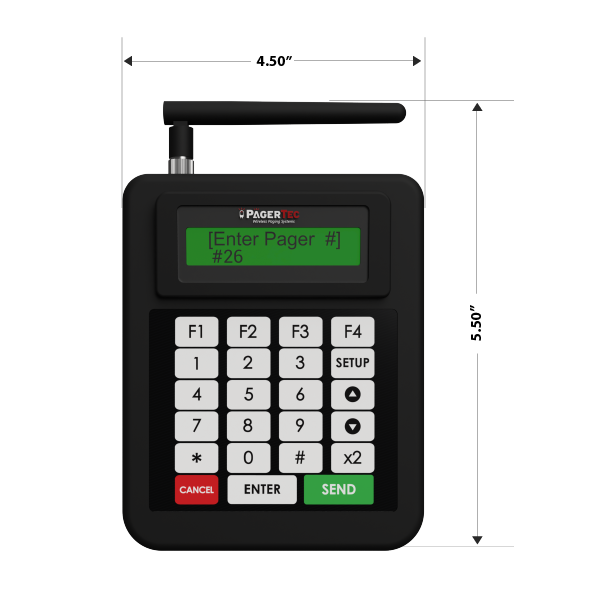 The paddle pager has more durable life and easy battery replacement. 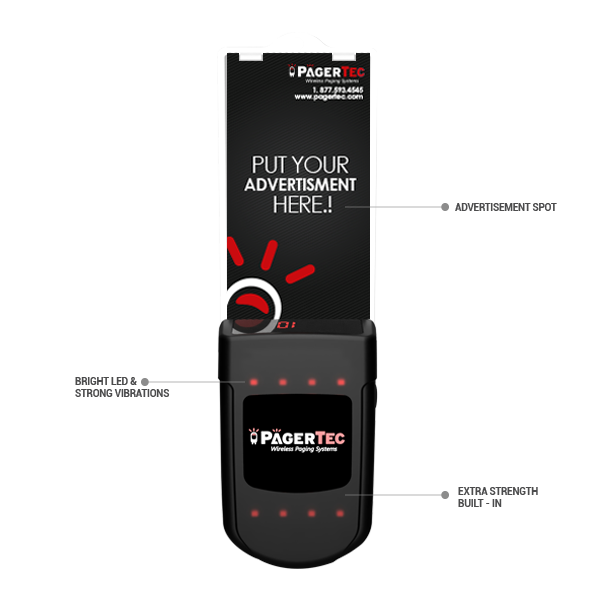 The pager comes with a build-in advertisement section that can protect advertisement in place and be easily replaced at your convenience. 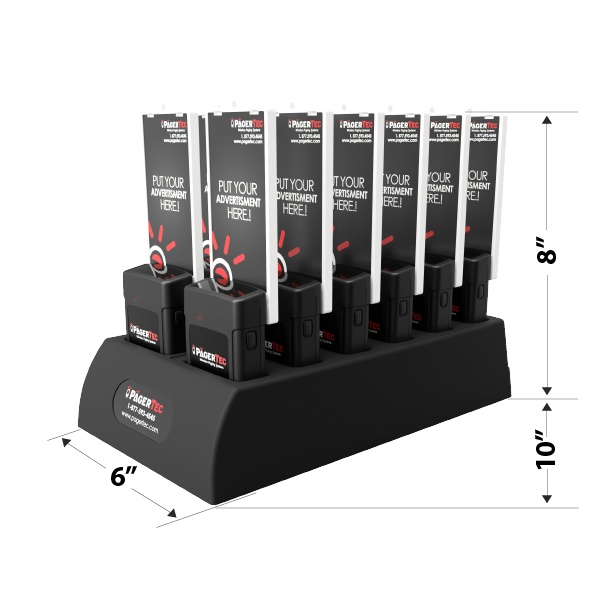 With bright flashing LED and the strongest vibrations guest are sure to never miss their turn. 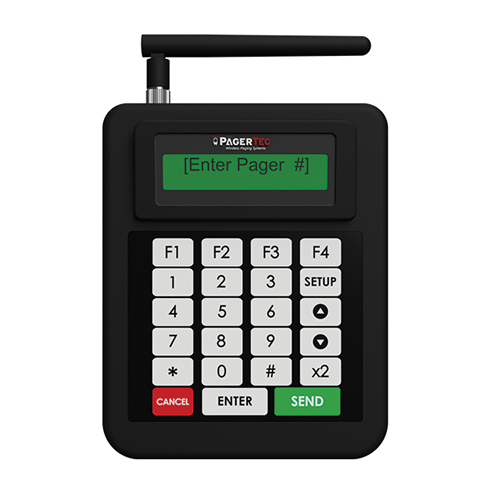 The hardened Laxen plastics used for the pager are amazingly resistant tested to withstand up to 5,000 drops. 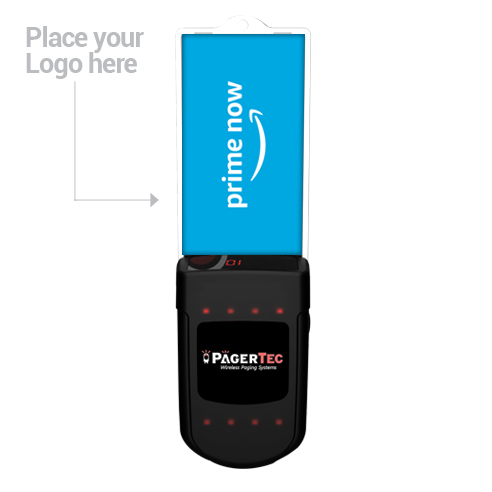 The Paddle Plus pager has less exposed parts that can be tempered with this ensures a longer life for the pager. 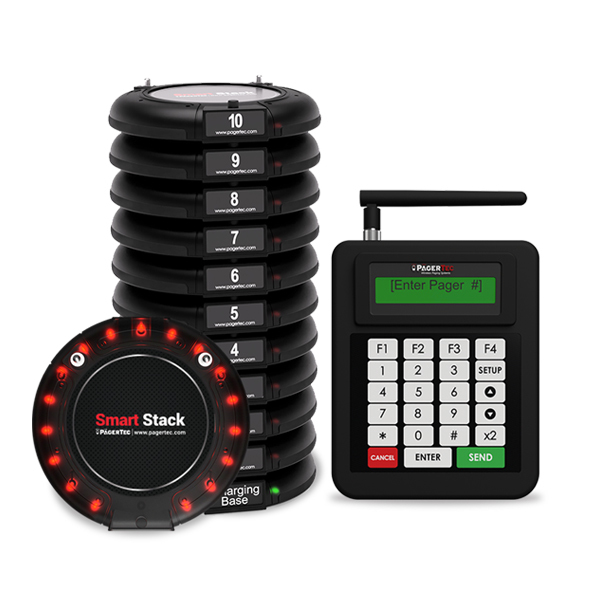 The compact and resistant pager can be easily charged, maneuvered, and has a great space saving design for counters or desks when the system is not in use.